Question 1: Email is always evolving. What major change or innovation will alter how we email in 2018? Better ways to deal with email chaos. Email is here to stay, and so is the way most people use it. Unfortunately, the average white-collar employee checks email about once every six minutes, and attention-switching resulting from email interruptions is a productivity killer. A study by the Danwood Group found that it takes on average 64 seconds to recover from an email interruption (regardless of the email's importance) and to return to the same productivity level. Plus, when you add interruptions from real-time communications platforms like Slack and others, people often feel overwhelmed and can stressed out by the sheer number of incoming notifications and messages. The biggest change in email will come from recognizing the fact that people are bad at managing their emails, and that trying to get them to change behavior won't solve the problem. For example, people aspire to achieve "Inbox Zero," but few have the discipline or time to do what's required to get there—yet alone stay there. The key is helping people simplify and focus without making them drastically change behavior. Innovative providers will make the entire email experience more intuitive and less demanding while seamlessly dealing with increasing volume and complexity. Integrating better search and more advance AI functionality are steps in the right direction. As are smarter and more easily customizable notifications that allow you to filter out noise to focus on what's important, overlaying more order on what can seem like a never-ending sea of chaos. Question 2: In relation to email, what will go away or become less relevant? 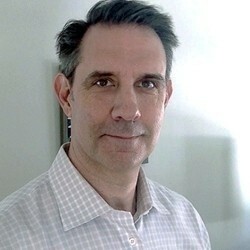 Eric Wanta is CMO at Zive, maker of Kiwi for Gmail and Kiwi for G Suite, which takes Google apps like Gmail, Docs, Sheets, and Slides out of the browser and helps companies improve G Suite rollouts and user adoption.